To mark the release of crime saga Yakuza 5, Sony is putting out a special (tacky—sorry!) PS3 bundle, complete with a gold colored PS3 controller. The controller is just gold—kinda ho hum. Know what can jazz it up? Stickers. 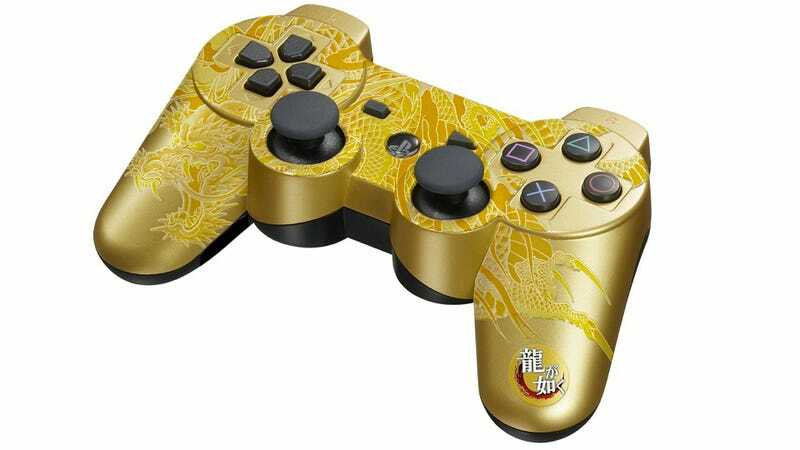 Today, Sega showed off the Yakuza 5 controller, which now comes with customized stickers. Stickers that will probably come unstuck with controller use. The Yakuza 5 Emblem Edition console will be out December 6 for ¥37,800, stickers and all.